I’m reading through N. T. Wright’s massive Paul and the Faithfulness of God (hereafter PFG), so I shall put up a series of periodic posts on what I’m reading and my thoughts about it. Disclaimer: I am not a Pauline specialist, so these are the views of an interested amateur, rather than someone like Simon Gathercole, whose valuable review of PFG I posted about recently. I did substantial review articles of the second and third books in Wright’s big series Christian Origins and the Question of God, namely Jesus and the Victory of God and The Resurrection of the Son of God, both for the excellent journal Anvil, and they’re available online here (‘Exit the Second Coming?’) and here (‘Easter in Durham?’). the main thesis of this book…: Paul developed something we can appropriately call his ‘theology’, a radical mutation int he core beliefs of his Jewish world, because only so could he sustain what can appropriately call the ‘worldview’ which he held himself and which he longed for his churches to hold as well….My proposal is that Paul actually invented something we may call ‘Christian theology’, in this particular way (Jewish beliefs about God, reworked around Messiah and spirit), for this particular purpose (maintaining the new messianic people in good order). Chapter 1 then begins with, and keeps returning to, the letter to Philemon. Wright starts with a brilliantly-chosen parallel text, a letter from Pliny the Younger to Sabianus, a friend, about a runaway slave, where the differences and similarities between the way Pliny urges Sabianus to respond to the slave and the way Paul urges Philemon to respond to his runaway slave Onesimus, are illuminating. Most strikingly, Paul urges Philemon to receive Onesimus as a brother, even as Paul himself (Phlm 17)—rather different from Pliny urging Sabianus to receive his runaway slave as a slave (but not to punish him, since he is genuinely repentant for his misdeeds). Wright engages with the standard debates, concluding that Onesimus is indeed a runaway slave, and arguing that Paul met Onesimus when Paul was imprisoned in Ephesus (an imprisonment on which the NT is silent: for Wright Phlm 22 is the key evidence—if Paul proposes a visit to Philemon soon, he cannot be too far away from Colosse, where Philemon lives, and that rules out Rome and Caesarea, the two places we are confident Paul was imprisoned). Wright stresses that Paul is working for ‘messianic unity across traditional boundaries’ (p 11, his italics) in general (Jew/Gentile, male/female) and in particular here (slave/free). ‘For Paul, much as have valued freedom, the mutual reconciliation of those who belonged to the Messiah mattered more than anything else’ (p 12). Wright also thinks that Paul was hinting that Philemon should emancipate Onesimus in vv 12, 14, 20-21, not least by echoing Exod 21:6; Deut 15:17, where a slave of a Hebrew family could choose to be their slave for life. The central difference between Paul’s engagement with Philemon and Pliny’s engagement with Sabianus is that for Pliny only three parties are involved—the slave, the master and Pliny—whereas a fourth party, the Messiah himself, is involved in the engagement featuring Paul, Philemon and Onesimus. ‘[A]t the heart of this difference between Pliny and Paul is a difference of master’ (p 22, his italics). This detailed reading of the letter to Philemon leads Wright on to look at studying Paul through the lens of this little letter. Here, he sketches categories which will be familiar to Wright-readers: worldview, mindset, etc. The five worldview questions which Wright has developed come into play here, and they are very helpful: Who are we? Where are we? What’s wrong? What’s the solution? What time is it? (p 26). 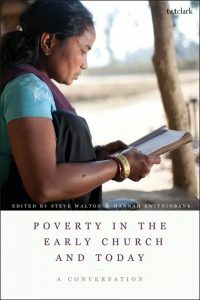 Wright locates what he is doing as socially-informed history: that is, he is seeking to understand Paul in his times and places and cultures, rather than immediately seeking to do the task of ‘application’ (as he calls it)—assessing what Paul might mean for us today, and sets out a model for studying this through story, praxis, question and symbols—again, categories which will be familiar from Wright’s direction-setting book The New Testament and the People of God. He argues that Paul’s worldview needs theology, for it is reflection on who the one true God is, how this God has acted and is acting, and what this means for those who follow the Messiah, Jesus. Here follows a masterful sketch of issues in Pauline scholarship which Wright tells us will be expanded in his forthcoming Paul and His Recent Interpreters. Then we meet the three key themes of Paul’s thinking: monotheism, election, and eschatology—categories Wright has expounded at length before, and so which are only outlined here. Wright comments relatively briefly on his sources, and argues strongly for Colossians as Pauline (as a companion letter to Philemon), that Ephesians and 2 Thessalonians should be used as supporting evidence (since both are highly likely to be Pauline), that 2 Timothy should be treated similarly to Ephesians and 2 Thessalonians, and that 1 Timothy and Titus may be used for further illumination. This is breathtaking—and welcome—in a guild of scholars which tends to assume there are but seven authentic Pauline letters. Not only that, but Wright is also willing to use evidence from Acts, arguing (as with the ‘disputed’ Paulines) that the reasons for rejecting this evidence were wrapped into a view of history and of Paul that is now rejected. Wright expresses due scholarly humility in recognising the limitations of our sources, and our own worldviews and ways of thinking: ‘Remember that you too are hermeneutically conditioned’ he counsels (p 67). A playful and enjoyable section follows (pp 68-74) and closes the chapter, in which Wright explores how Philemon might allegorically inform our study of Paul. This is great fun, and needs reading to appreciate it! At the end of the chapter, I felt informed about Wright’s approach, I’d learned a few things about Philemon I had not noticed before, and I was looking forward to what follows. I also greatly enjoyed some of Wright’s asides (‘boring exegesis must be wrong when the texts are so obviously full of life’ is a beauty! p 14 n 35, his italics). 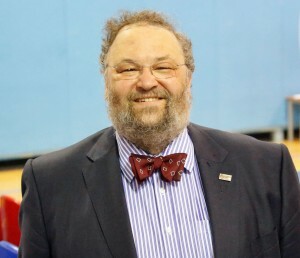 Onward and upward to the next chapters, which will look at the first-century worldviews of Judaism (especially Pharisaism), Greek thought, and the Roman imperial context. This is great, Steve, a very helpful approach. Wright opens up the very real possibility that systematic theology and biblical studies might actually have grounds for a conversation again. priceless! Thank you Steve for writing down your impressions of this book. I am following your reviews. Very helpful. Rummaging around for some stuff about Philemon I came across your blog. 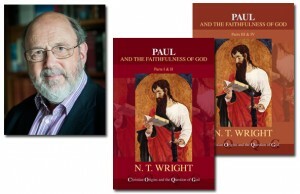 Super article on NT Wright’s book – many thanks – and it is great to see what you are up to after all these years.